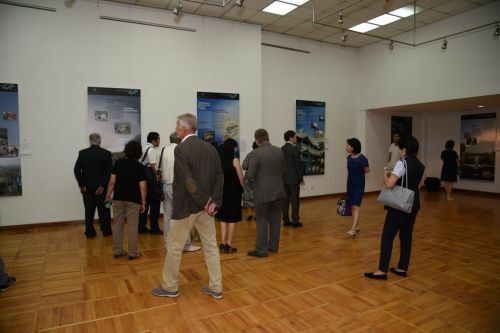 AKIPRESS.COM - An exhibition entitled “Protecting the Past – Inspiring the Future” was formally opened on July 20 at the National Museum of Fine Arts, Bishkek. 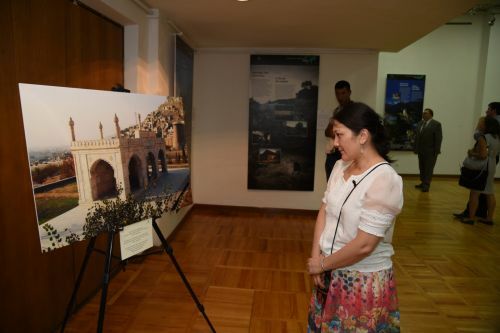 Organized by the Aga Khan Development Network Representation Office in Kyrgyzstan and the Aga Khan Trust for Culture (AKTC) in collaboration with the Ministry of Culture, Information and Tourism of Kyrgyzstan and the Roza Otunbayeva Initiative, the exhibition showcases major cultural restoration projects undertaken by the AKTC’s Historic Cities Program in diverse cultural contexts and various geographic locations. The ceremony was attended by prominent academics, government officials, members of diplomatic corps and representatives of civil society. 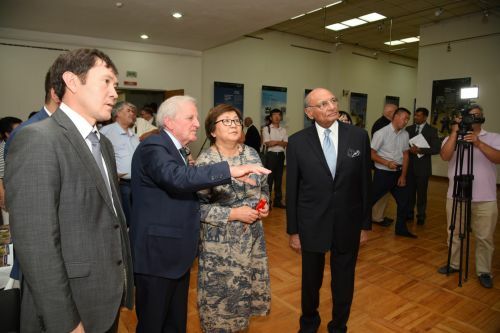 “... the exhibition, which will also be on display in various locations across the country, illustrates how cultural heritage foster social and economic development. 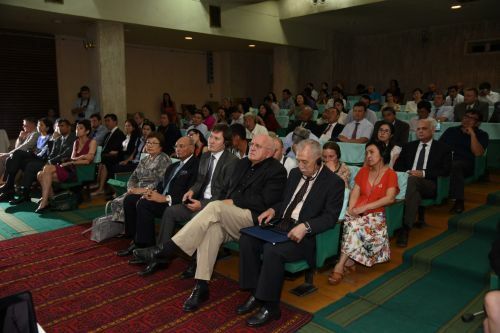 I am particularly pleased to see today an impressive group of cultural specialists from within Kyrgyzstan and beyond so that through today’s event and seminar on the same topic tomorrow, they can share their experiences on this important theme for the benefit of all,” observed former President Roza Otunbayeva. The exhibition showcases efforts to improve the quality of life of communities neighboring historic sites as well as enhance urban spaces and reinforce a respect for diversity through the preservation and revitalization of cultural assets. The panels on display also include 19 projects shortlisted for 2016 Cycle of the Aga Khan Award for Architecture which is given every three years to projects that set new standards of excellence. 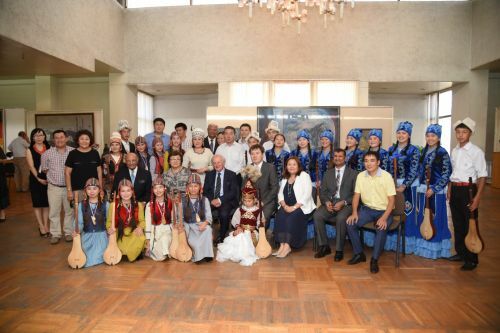 “The Ministry is pleased to support this exhibition in collaboration with the Aga Khan Development Network especially in light of the objectives set out by President Almazbek Atambayev in designating 2016 as the Year of Culture and History in Kyrgyzstan,” noted Farkhad Bekmanbetov, Deputy Minister of Culture, Information and Tourism. Following the welcome addresses, Luis Monreal, General Manager, AKTC, presented specific studies, including projects undertaken by the Trust whereby cultural heritage had served as an economic asset. Examples cited included Babur’s Garden in Afghanistan and the Al-Azhar Park in Cairo. 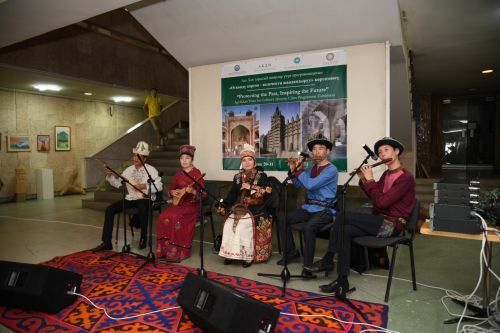 Alongside the exhibition, a related seminar is organized on July 21 in Bishkek which provides an opportunity for diverse stakeholders to explore how cultural assets, in particular those in Central Asia, can bring broad benefit to neighboring communities while preserving historic sites. 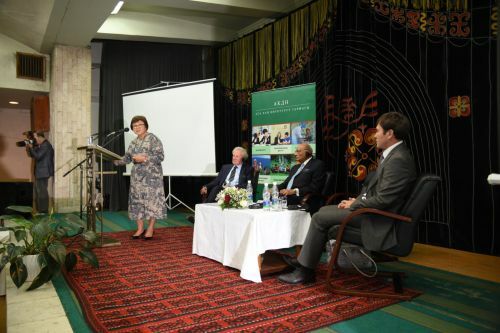 Several eminent specialists in this field, including Henri Loyrette, former President-Director, Louvre Museum (Paris) and Pavel Lurje, State Hermitage Museum, Saint Petersburg (Russia), Bakyt Amanbayeva, Leading Researcher, National Academy of Sciences (Kyrgyzstan) will formally present their expertise and experiences on this subject.